Davido has now responded to the allegations that he was responsible for his crew member’s death. 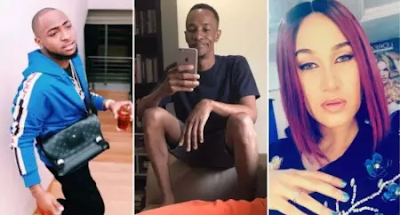 Former actress, Caroline Danjuma, had alleged that a young man named Tagbo in company of Davido and his crew died mysteriously Monday night. She said the deceased was taken to a General Hospital in Lagos in Davido’s car and was abandoned there. But Davido on his snapchat page denied involvement in Tagbo’s death while sending condolences to his family. According to him, he is being framed for always treating everyone like a brother. The OBO crooner in the post wrote: ”RIP Tagbo, God knows the truth! “People are just wicked. This what I get for treating everyone like my brother. “I was deeply saddened to hear of the sudden death of my friend, Tagbo. First and foremost, my sincere condolences and prayers are with his family and friends at this time. “But it is also disappointing that false information and complete lies have been put out there, using my name as usual. Out of total respect for Tagbo and his family, I will not discuss this matter further for now. “Rest in peace Tagbo….David adeleke.